Nested datatypes are families of datatypes that are indexed over all types and where the datatype constructors relate different members of the family. This may be used to represent variable binding or to maintain certain invariants through typing. In dependent type theory, a major concern is the termination of all expressible programs, so that types that depend on object terms can still be type-checked mechanically. Therefore, we study iteration and recursion schemes that have this termination guarantee throughout. This is not based on syntactic criteria (recursive calls with “smaller” arguments) but just on types (“type-based termination”). 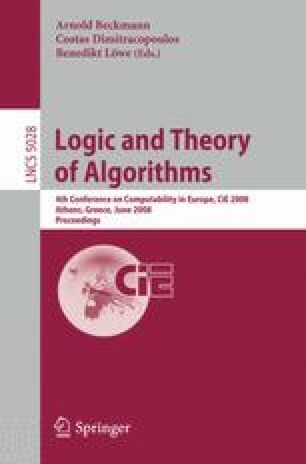 An important concern are reasoning principles that are compatible with the ambient type theory, in our case induction principles. In previous work, the author has proposed an abstract description of nested datatypes together with a mapping operation (like map for lists) and an iterator on the term side and an induction principle on the logical side that could all be implemented within the Coq system (with impredicative Set that is just needed for the justification, not for the definition and the examples). For verification purposes, it is important to have naturality theorems for the obtained iterative functions. Although intensional type theory does not provide naturality in general, criteria for naturality could be established that are met in case studies on “bushes” and representations of lambda terms (also with explicit flattening). The new contribution is an extension of this abstract description to full primitive recursion and its illustration by way of examples that have been carried out in Coq. Unlike the iterative system, we do not yet have a justification within Coq.